Very excited to see the release today of the Yam Who? 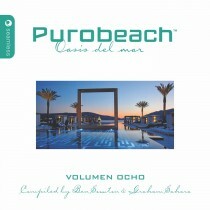 Remix Double Yellow‘s ‘Feed You’ on the latest PuroBeach compilation. Coming out on the fabulous London house imprint Seamless Recordings the full compilation is available digitally and on 2 mixed CDs which feature artists and productions by Fred Everything, Crazy P & Kraak & Smaak.